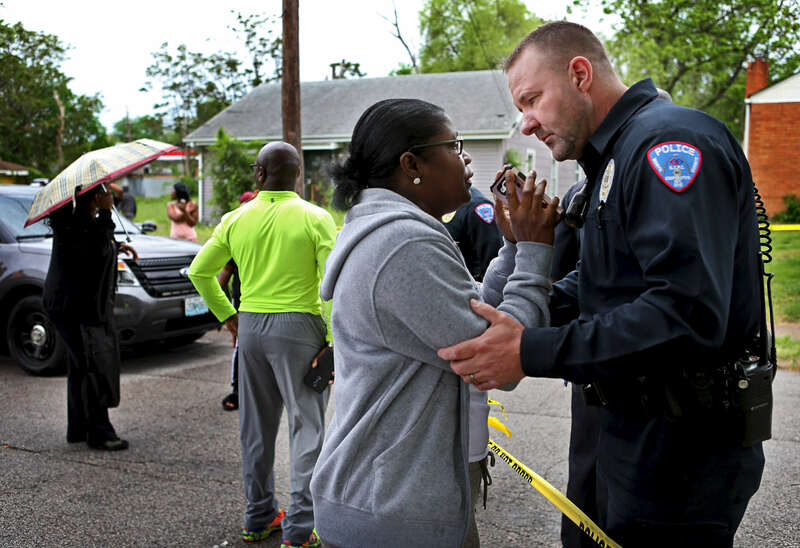 Vanita Walker (left) talks with North County Police Cooperative officer Albert Haller as police investigate the scene of a triple homicide on 4500 block of Rosewood Avenue in Pine Lawn on Wednesday, April 26, 2017. "That's my son's car," said Walker as she pleaded to be let into the crime scene so she could identify her son. Walker tried to calm her and explain to her why she couldn't enter the scene as it was be investigated. "As a human you just feel for her," said Haller a little later after Walker moved back from the police line.